HD 720p, MPEG-2 for low CPU usage. 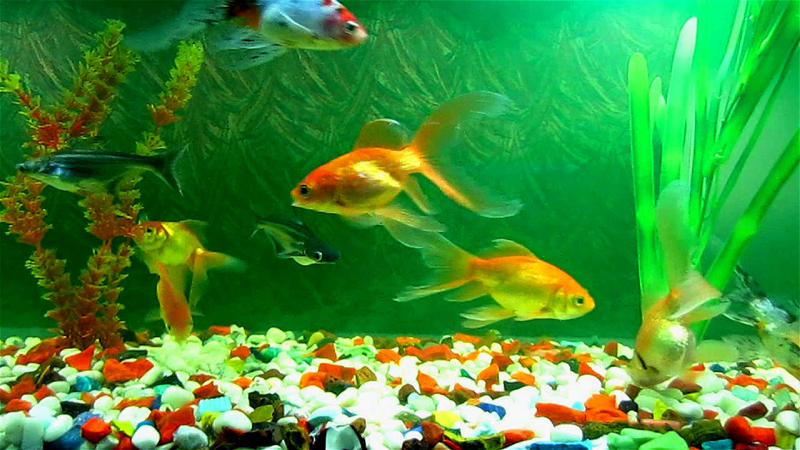 "video clip of my own fish tank, it has Goldfish, Sharks, black moore and Swan kings"
Shot with Canon IXUS 130 at 720p. Loved the first and second, Amit... excellent work. wow wow wow and wow! You are truly a master! thank you doc, thnx cosmica glad you like it !! Man, this is superb! What a pleasure. Thanks for my desktop. This is great-now I have a totally carefree aquarium!!! Yours is gorgeous-not even one fingerprint on the glass! You don't by any chance own a salt water one too? Always wanted one of them but the upkeep always seemed so complicated. WOW! and you videotaped this with a camcorder or something??? just WOW! It was AWESOME! I really loved it and I would really enjoy more like this! thnx all for the appreciation..... glad you're enjoyin' this .Dream ! Is it works in win 7?